It is in the form of a downloadable worksheet where you can work your way around in determining the child support you need to pay or receive. 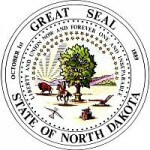 Regardless of the case, the calculator by the child support enforcement in North Dakota offers all the information and instructions while adhering to the set guidelines on how to child support should be calculated. Step 2: Enter your annual gross income from all sources and the net annual income in line 3 and add all these to arrive at line 4. Step 3: Enter the deductions, less them from the total annual gross income to get the net income per year, and then divide this figure by 12 months, to determine the net income per month. Step 4: Use the guidelines below to fill up the support amount section depending on the number of children that require that support. Step 5: Fill up other details of the split parental rights, if any and equal residential responsibility to arrive at the child support obligation you owe.